Good leaders are multipliers who develop, explore, challenge, consult and support people, getting twice as much out of them. This is about how the best leaders make everyone smarter. The logic of addition and resource allocation is usually: our people are overworked, our best people are the most maxed out, so we need more resources. But in truth, most staff are overworked on pointless stuff, yet underutilized (most have more talent and resourcefulness than is actually used, and most managers only use 66% of their people’s capability). 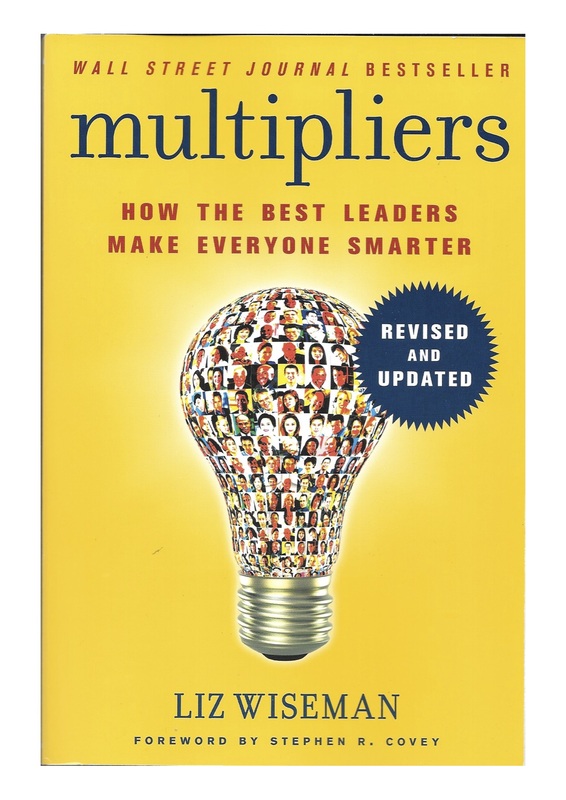 Multipliers think “people are smart and will figure it out.” They develop, explore, challenge, consult & support. Their traits include being the talent magnet, the liberator (requires people’s best thinking) , the challenger, the debate maker, and the investor (in other’s success). They increase performance by x2. Diminishers think “they will never figure this out without me.” They use, blame, tell, decide and control. Their traits include being the empire builder, the tyrant, the know-it-all, the (sole) decision maker, and the micromanager. They reduce performance on average by 50%. To be fair, most diminishers are accidental diminishers, such as the idea guy, being always on, the pacesetter, the rapid responder, the optimist, the protector, the strategist, or the perfectionist. Although superficially appealing, none of these qualities make for good leadership, and usually lead to the shutting down of ideas and the helpful actions of others. In the cycle of attraction A grade players get fully utilised and grow, become A+ players, are offered further opportunities, and the company develops a reputation as a place to grow, attracting even more top talent. In the cycle of decline, A players get boxed in, become A- players, lose confidence and recede, stay and wait in a company that gains a reputation as a place to die. The diminishing death spiral starts with control, dictating and micromanagement, leads to judgmental reaction from subordinates, who then criticize and stop listening, leading to suspicion, interference and eventual standoff. “Nothing grows under a banyan tree.” Old Indian saying that refers to the protection provided by many bosses, but no light is allowed in for growth. Tyrants create a tense environment, but liberators create a (beneficial) intense one that requires concentration, diligence and energy. The basic rules of shared inquiry: Ask the hard question, ask for evidence, ask everyone, and then ask people to switch positions. Switching sides and arguing someone else’s position is a good technique. It forces people to examine the strength of another view, and the weakness of their own. To frame the issue and spark a debate, ask a question, don’t name a topic. Nothing. This is wise advice based on a large research study.